Welcome to my trip report on Vietnam Airlines Airbus A330-200! You can check out my trip report on the older Airbus A330 trip report over here. This airline has 3 different types of configuration for the A330 fleet. They are all leased from lessors and why the different configuration, well only the management can answer that question. These A330-200 may not be around for long as the Airbus A350 and Boeing 787 Dreamliner aircraft are planned to replace them. I believe VN-A379 and VN-A381 will be the last to go as they are newer than the other aircraft. I booked myself on the Ho Chi Minh to Hanoi domestic return trip flights for quite a number of times now is to try out the aircraft types I want to fly on. My target for this trip is to fly the airline's Boeing 777. I hope this would be my last SGN-HAN flight for a while so that I can concentrate on other domestic routes (flying on Vasco and Vietnam's ATR-72 are in my agenda). Unfortunately, the aircraft type for both of my flights this time were changed, so I have to do this again in the near future. Vietnam Airlines is "notoriously" known for changing the aircraft with other flights, but my record so far has been quite good until recently. My last flight from Hanoi to Ho Chi Minh was supposed to be scheduled to be operated by the 777, but it was changed to the 787 just a few days before departure. Tough luck but I would try again until I get the 777. For my plan, I decided to do both ways Boeing 777 to stand a better chance and spend a night in Hanoi. Unfortunately, I received an email from the airline that my return sector was changed to another flight and yes, the aircraft type assigned on this was operated by 787 Dreamliner (More info on this on my next trip report - I decided to do the trip report instead as I was lucky to fly on the 2-cabin configured 787: Business and Economy Class configuration). Some of you must be wondering why didn't I change my flight. Unfortunately, I couldn't because the air tickets I bought was at a discounted fare so changes were not allowed. I could buy the more expensive airfare, but I was counting on my luck and saving money was my preference. For these flights, I booked them separately so that I can choose seats for both flights. I realise that if I book a return trip, I would not be able to check in for the return flight which I have no idea why. For book lovers, you should visit this place! I came here to find a popular cafe but ended up at the wrong place, but still it was nice to check out this area. This meal was pretty good! When I did my check in, I was hoping that the seat map would show the Boeing 777. After considering, I decided on row 7A. Slight delay to my flight by just 10 minutes, nothing bad. After checking in, I thought for a while and decided to try my luck to change my flight at the airport. Even though you receive this mobile check-in page, you can still receive the boarding pass at the check-in counter or the self check-in kiosk. VN-A144 - a Boeing 777-200ER was originally scheduled to operate on my flight! 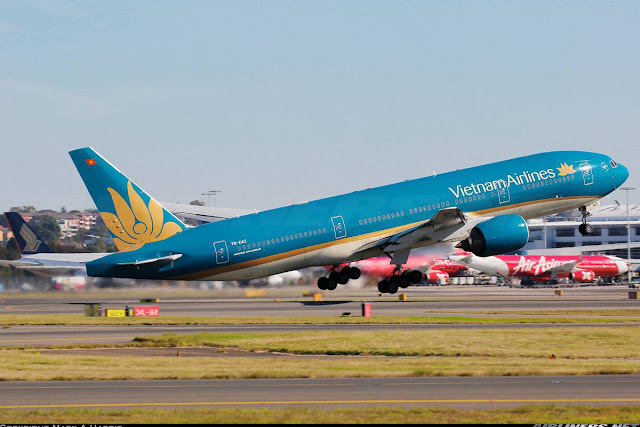 Why Vietnam airlines, why the last minute change? Unlike my previous trips, this was my first flight to Hanoi in evening and will arrive there at night time so the experience would be different. Since my flight was at 6 p.m, I spend the earlier part of the day lazing around and headed to the airport quite early. At 2 p.m, I was at the domestic terminal and tried my luck to change my flight. Unfortunately the staff told me the bad news and I had to stick with it. Tried using the self checking kiosk earlier on but this machine together with a couple others refused to check me in and I had to do it at the counter. Wasted 25 minutes over here including the waiting time queuing up at the check-in counter. I queue here for a short while before remembering about the self check-in kiosk, I headed there after a short wait. Here I am, trying this for the first time. System looks good, and I wasn't expecting any issues. I tried using both PNR and ticket number to check in but once I reached the next page, I couldn't proceed no matter how many times I tried. I gave up and headed back the check in counters for passengers without baggage. It was a mess at the check in counters with frustrated check-in agents waving away passengers who were simply making a nuisance to the staff, can't blame the staff for feeling frustrated. One elderly went to ask the staff something and he got waved off and guess what he did? He came into my line and cut into my queue. I had to ask him to move to the back of the queue. After that, he kept staring at me like a hungry wolf! What a country bumpkin! Got my boarding pass and I was the 4th passenger to check in for this flight. Once that was done, I made my way to the air side via security check. That country bumpkin was still watching me while I was leaving that area. At the air side. I grabbed a bite at a nearby cafe before sitting around surfing the internet before it was time to board the aircraft. 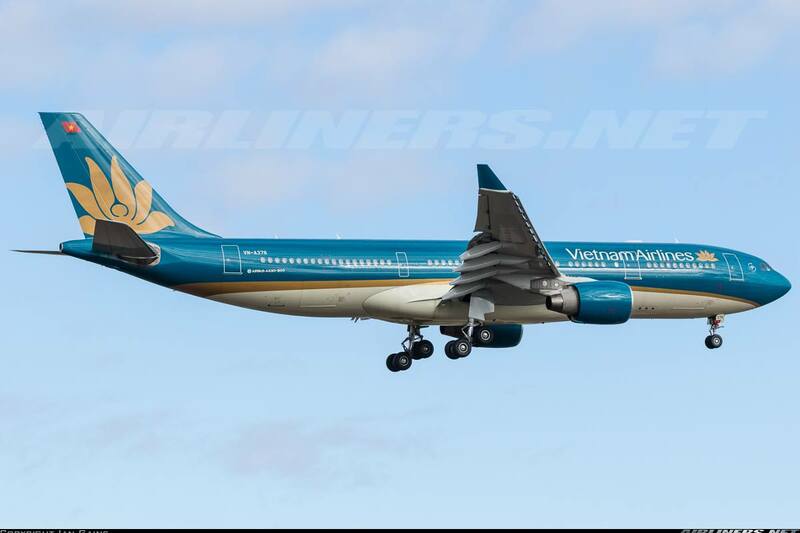 At that time there were 2 A330s, VN-A376 (new livery) and VN-A379 (old livery but the 2nd newest A330 in the fleet). For me, it didn't matter which aircraft as I had not flown on either aircraft before. Thanks to flightradar24, VN-A379 was my assigned aircraft to Hanoi, while VN-A376 would fly half an hour earlier to the same destination. VN-A144 was heading to Da Nang. You can imagine how disappointed I was at that time. Despite being quite busy at that time, there were lots of vacant seats. 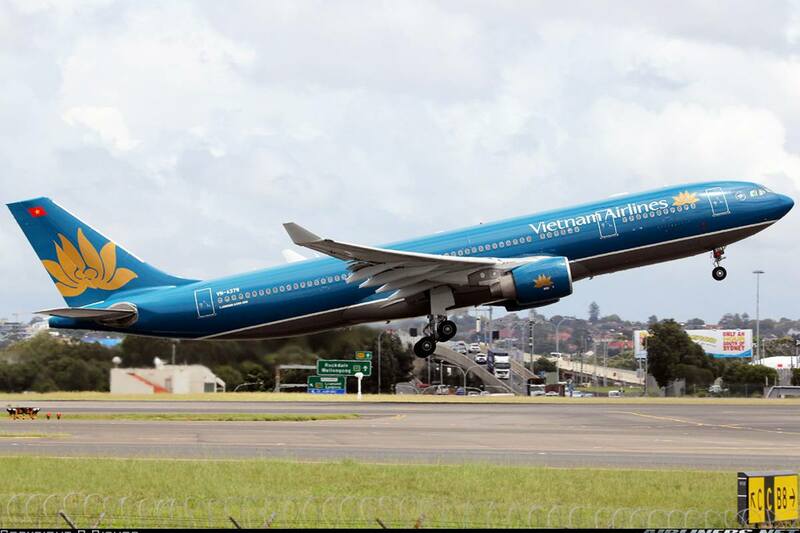 This is the airline's Boeing 777-200ER, VN-A144 and I found out that this aircraft was heading to Da Nang! Arghh, I would have gone to Da Nang instead if I had known. Soon it was time to board! After 10 minutes of waiting, we were cleared to go to our aircraft. The queue was in the mess because there was another queue lining up at the same gate was heading to Hanoi with Vietjetair, so it got a bit messy when boarding commerced. Those queueing up at the Business class line, were told to move to the Economy Class. We were initially allocated to gate 6 but because VN-A379 was parked quite a few gates away from gate 6, our departure gate was changed to gate 7, that made sense. Once boarding commerced, we headed to our waiting aircraft. My walk to my seat was within a few seconds, that was how front I was for this flight. Reason I chose this seat so that I could take a engine and wing shot photos. I was seated alone for quite a while and was hoping for the seat beside mine to remain vacant, but it was not to be when someone popped up last minute and settled down. At least with the 2-4-2 configuration, it wasn't so bad comparing to being stuck with 2 seat mates in the 3-3-3 seating configuration. Looks decent to me. IFE system is stored at the hand rest area. This makes you feel like flying in the 1990s. Fortunately I got the A330 with the newer cabin. Photos are limited as I wasn't able take many shots. 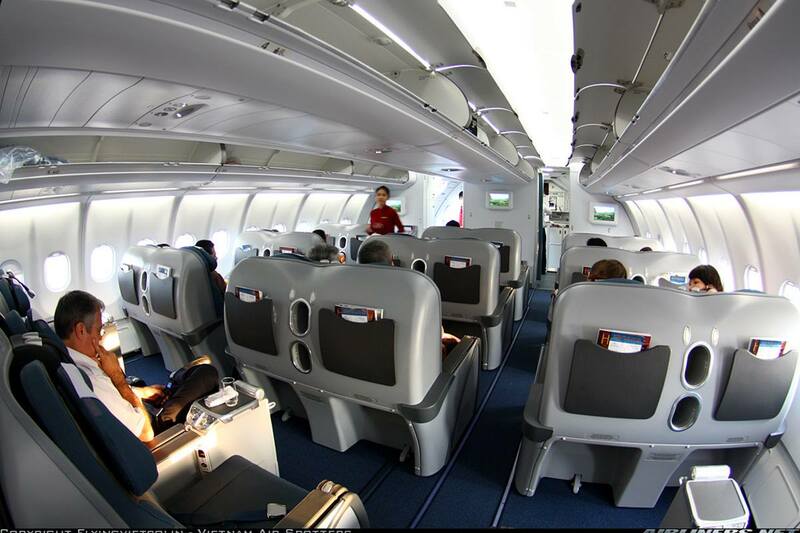 Seat is different from the 787 and 350. Vietnam Airlines has different In-Flight Entertainment system in the airline's fleet. Time to reduce them to save maintenance cost. Can you see what's wrong with the photo below? Country bumpkin placing his leg on the wall. These folks need to be educated. Did you know: The Boeing 787 Dreamliner is originally supposed to be configured in 2-4-2 for Y Class, to compete with this aircraft type, the Airbus A330 family. The system of the IFE was locked so I couldn't play around with it. 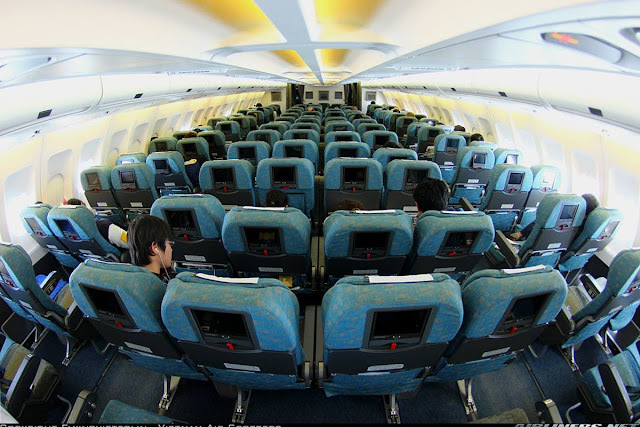 The cabin crew didn't seem to be in a good mood when they welcome us on board, it was the usual Vietnam Airlines service that I am accustomed to. Its a pity because this airline has the potential to compete with the big boys with the new aircraft being delivered. The airline may not be able to compete for the in-flight product with the big boys but at least make an effort to emphasis on the in-flight service, win the hearts of the frequent travellers so that the airline can gain more share of the market. This is my belief. Got to my seat with the seat mate appearing later on, looking around me at least for my section, it was full. The flight purser apologised to us for the delay and we should be heading off soon. Captain updated us on our flight path and weather on route but did not mentioned about the delay. During his announcement, a lady sitting behind me was talking very loudly on her phone, hence I missed most parts of the captain's announcement. After that, we didn't move until 20 minutes later, why? I had no idea at all and to make it worse, there wasn't any update or apology for the further delay. It was getting dark when we finally pushed back. We taxied to runway 25 Left which took around 10 minutes before taking off. Weather on route was fine for most parts, a bit of turbulence while flying through some clouds along the way, but the seat belt sign was not turned on until we were below 10,000 feet. In-flight meal was served, with the cabin crew having a hard time to differentiate between the locals and foreigners. The crew serving my aisle hardly had any smile on their face. I looked at them and wonder whether they prefer to be somewhere else and it seemed to be the case. We landed at Hanoi late and not surprised that we parked at the domestic terminal gate with the aero-bridge connected. The return flight was affected as it would depart later and perhaps this was probably the reason for the crew's indifferent mood? Who knows! Whatever it is, delays is part and parcel of flying, and one shouldn't make such a big deal out of it. A choice between fish noodles or beef rice, I chose the latter. Tasted decent, nothing special about it. I was quite hungry at this point and a warm meal like this satisfied me. Good view of the engine and wing and Vietnam Airlines VN-A327 featuring the Skyteam livery A321 aircraft was heading to Da Nang. A Vietjetair Airbus A321 came in not long after, it was heading to Hanoi too. Finally we were on our way and I spotted the airline's Boeing 777 parking at the remote parking lot (Photo below), sigh! It's strange that the landing lights was only turned on during climbing. Shouldn't the landing lights be turned on before departure? Landing at Hanoi Airport was a smooth one, weather was cleared at that time. Parked at the domestic termianl with this airline's Airbus A321 resting for the day. The walk towards the arrival hall took around 5 minutes. In-flight service once again was disappointing because of this set of unenthusiastic crew. Whether its domestic or international flight, the crew should learn to be proud of their jobs by showing more enthusiasm to the passengers. Whether the passengers are good or bad, everyone deserves to be treated well and for the nasty ones, let the senior pursers handle them and remove them if they cross the line. On the bright side, this airline offers cheap airfare at times and also have a good safety record. The ugly behaviour of some passengers still exists at airports and on planes around the world, and it is difficult to change or educate them. Sad, but that's how life works, you have to mix the good and bad people to gain travelling experience. When one encounters such people, best thing is not to get into an argument with them, its pointless. 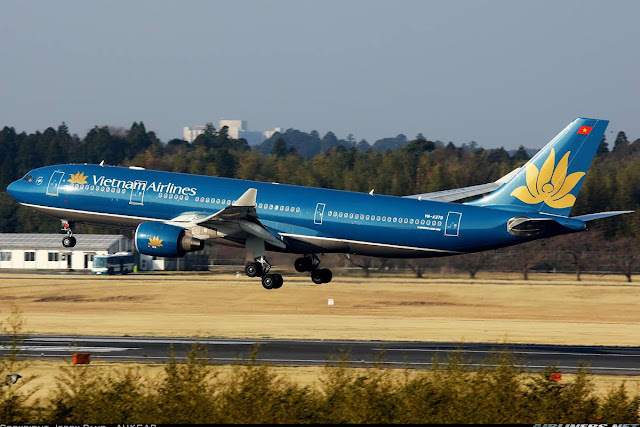 For my previous A330 trip report with this airline, click here. I dont get it. So you want to fly with 777 A144 but they changed your aircraft to 330? 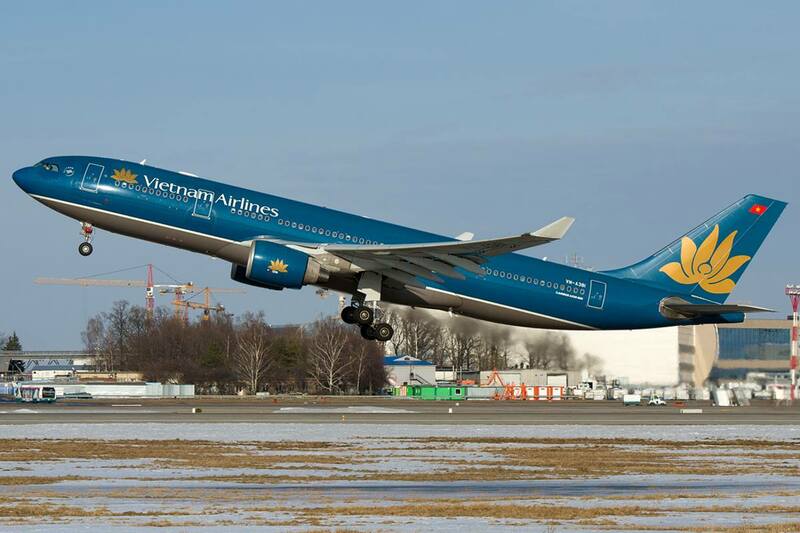 I booked this return flight once again deliberately is to fly on VN's Boeing 777! You seemed to have luck with it. Instead, both of my flights changed to A330 and B787 respectively.